St. John’s, NL - The International Association of Business Communicators (IABC) announced the winners of the 2018 Chapter Management Awards (CMAs) at the Leadership Institute in San Diego earlier this month. 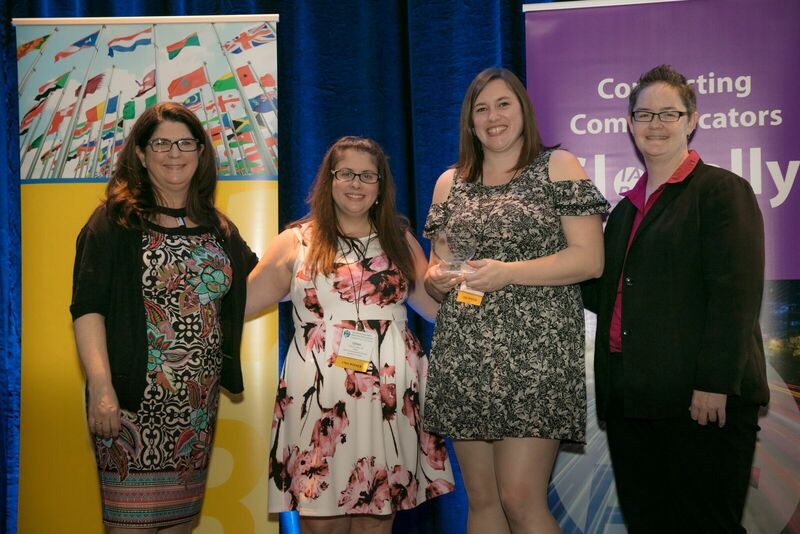 IABC Newfoundland and Labrador took home the award for Small Chapter of the Year, as well as two Awards of Excellence for Finance and Event Management. We are very proud to receive Small Chapter of the Year from IABC which recognizes the commitment of our volunteer board of directors who work together to ensure our members are at the heart of everything we do. We continue to learn so much from our IABC colleagues and we were delighted to have the opportunity to present our work through the Chapter Management Awards Program. Along with Small Chapter of the Year, we were also very excited to win Awards of Excellence for Financial Management and Event Management." The Leadership Institute is an opportunity for IABC leaders from around the world to network, share best practices and learn about leadership development. The Chapter Management Awards are held during this time, recognizing the leadership abilities, management skills, creativity and teamwork of outstanding volunteer leaders worldwide. The Event Management Award honoured the work undertaken for Pinnacle - the most prestigious communications awards show in the province which acknowledges the work of some of the most innovative and creative communications projects and professionals in our community. IABC NL is currently accepting submissions for the 2018 Pinnacle Awards IABC NL and encourages communications professionals to submit their work before March 31, 2018. For more information about IABC NL, and the annual Pinnacle Awards, please visit www.iabcnl.com. IABC NL accepts award for Small Chapter of the Year at the 2018 Chapter Management Awards during the Leadership Institute in San Diego. (l-r) Sharon Hunter, Chair, IABC; Gill Costello, Vice-President of Finance, IABC NL; Jackie O’Brien, Director of Communications, IABC NL; and Stephanie Doute, Executive Director, IABC.